If you’ve got a car and friendly personality, then you may be considering joining Uber or Lyft to make some extra money. While many people have made driving pay off, it helps to have some tips while getting started. Use these top uber/lyft driving tips for new drivers to start making a good salary. If you’re heading out, you probably want to make sure you’ve got supplies for yourself. However, you should also be sure to offer these to your passengers. They may not take you up on them, but having a few bottles of store-brand water and some packaged snacks is a good way to get cash in on tips. When you sign up for these companies, they’ll start sending out text messages that suggest times and locations where the demand for rides is going to be high. Each message encourages you to head to those areas such as bars on weekends, stadiums, and other locations. While it’s not a bad idea to keep these areas in mind, you’ll probably have more luck by ignoring them. When drivers go to these areas, premium prices decrease meaning that you actually earn less for each ride. Unless you really need passengers, you’re better off staying in a fairly busy location. Since your passengers are looking in the area, it’s tempting to drive around until you receive a notification. Keeping in motion uses up your gas though and probably won’t help you get more passengers. It’s going to work out better if you stick to a central area and avoid the suburbs. If you’re driving miles to reach someone, there’s a good chance that you’ll drive further to reach them than you’ll actually wind taking them. This habit may result in you actually losing money on the fair. If you you have to drive a long way to pick someone up, they may get bored or cancel the ride so be cautious. Better yet, if you just started the day, wait at your house for 5 to 10 minutes. You might get a a signal and start the day with a pickup right out the gate. It’s always a good idea to know what events are happening in your area. You’ll have a better idea of where crowds are going to be and you’ll also be more knowledgeable to the people in your car. Take a look at the paper each week. The weekend section typically has a specific calendar for which events are happening. Take note of which ones are most likely to attract younger people. Concerts and events where there may be alcoholic beverages served are going to be your best options. If you can, stay in those areas and wait for alerts. This tip may seem a little silly, but it can actually make a huge difference. If you smoke in your car, stop immediately. Your best bet is to clean your car well and keep an air freshener handy. This will make your reviews better and some people may not actually want to drive in a car that smells bad. Your car may run into the occasional mishap with passengers, but keeping it clean will help you out in the long run. Another tip that’s handy along the same lines is to keep a few plastic bags available if you happen to pick up someone who’s had a few too many. A trash/puke bag goes a long way to keep your car clean and is well worth the time you’d have to spend cleaning up. Make sure your passengers know that this is available if you pick them up from a bar. This is an app used with Uber and will help you take advantage of some features that are not available using the driver app. One of the benefits of using this app is that you can see where other drivers are which will help you select areas that don’t have a lot of competition. Use this if you’re in a crowded location but you’re not getting any notifications for a ride. Sometimes moving a block away can make all the difference. You’ll also find that this app has more up-to-date information on surge fares than the drive app which seems to have a slight delay. Use these tips to get the most from your driving experience. Disclaimer: This site is not owned or operated by Lyft or Uber. We do not work directly for Lyft, Inc or Uber, Inc. The views expressed throughout this blog are those of our own and not of the companies mentioned. We are just here to help out potential new riders and drivers. Uber vs Lyft - Ride Sharing Comparison: Who Wins? 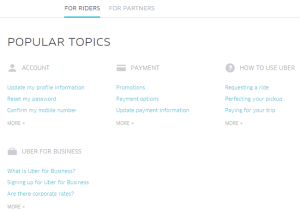 Uber Promo Code 2016: Coupon Guide for a Free Ride!